While architecture skyline builds are a popular way to capture some of the landmark structures of a city, city son has created this fantastic mountainous sculpture of Hong Kong’s landmarks. At the base we have the Hong Kong Convention and Exhibition Centre with its glass façade, surrounded by Golden Bauhinia Square. Dominating the scene is the Big Buddha with the Ngong Ping 360 cable car and Peak Tram exiting the mountainside, all of which are located on Lantau Island, Hong Kong’s largest outlying island. 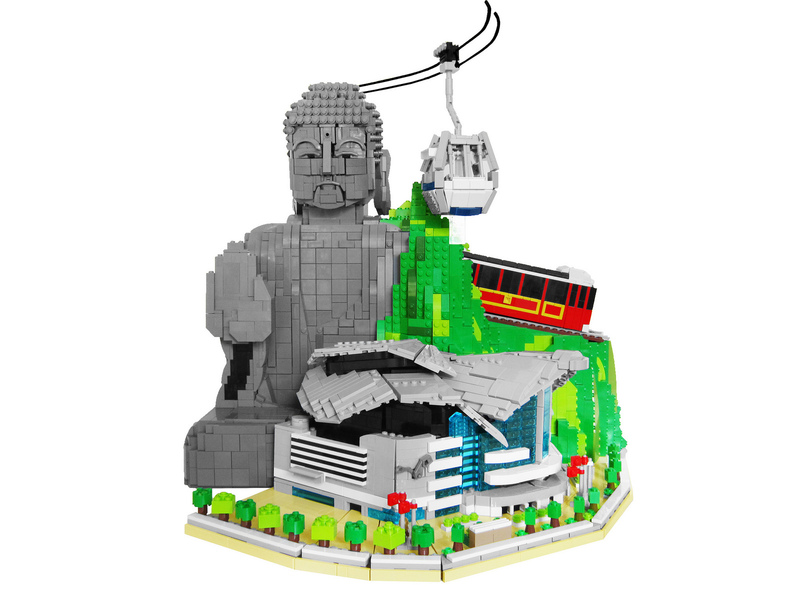 What a great way to capture some of the highs of Hong Kong, although Big Buddha doesn’t look impressed with the cable car exiting his head!